The relaxing sounds of moving water … the beauty of fish and plants. These beautiful displays of nature can be part of your landscape that looks so natural and well constructed that friends and guests will be asking you for the secret to the design. MGM Excavating and Landscaping excels in this exciting and specialized area of environmental design, integrating your interests and desires with the beautiful accompaniments of nature. 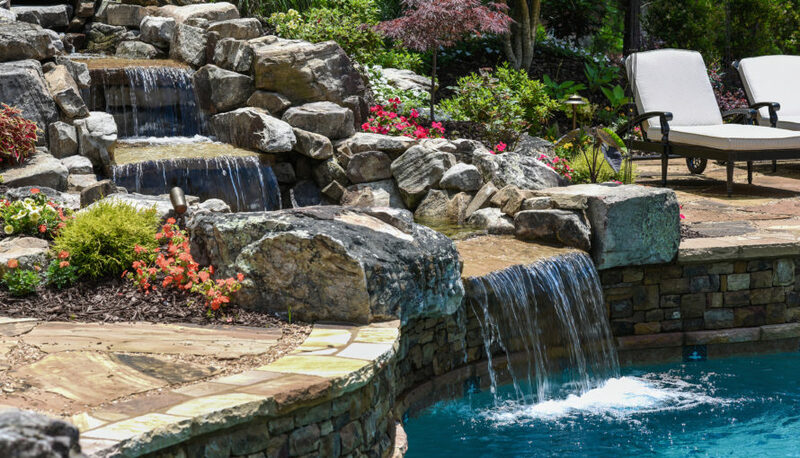 Whether it’s waterfalls or fountains, colorful fish and water lilies, a pond or a stream, we can help you create a little bit of paradise in your own backyard. Whether you tuck a decorative fountain near the entrance of your home or create a backyard habitat with an ecosystem pond and waterfall, you’ll find each day enhanced when you waterscape your landscape. Whether you have an expansive lawn or a small balcony, you’ll find a water feature from MGM to suit your lifestyle and budget.